Here is a photo of the altar we made honoring our friend Don Smythe who passed away last November. 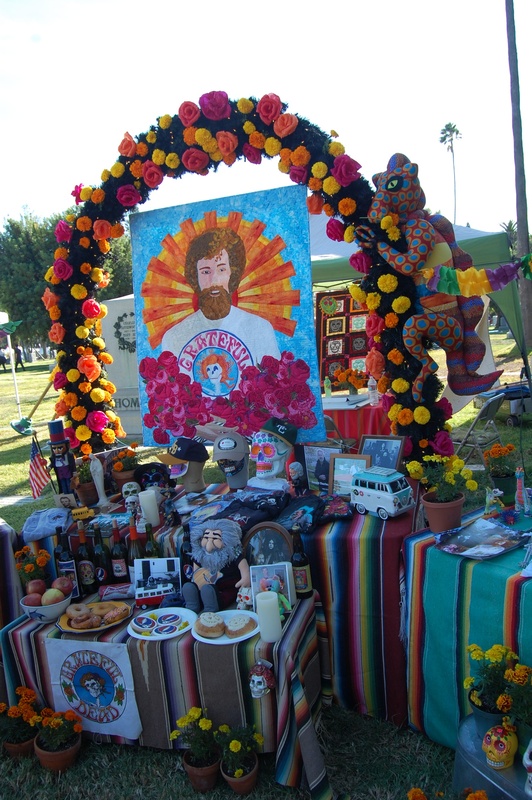 The centerpiece is a quilt of Don when he was a young Deadhead. You are currently browsing the Ranellhansenquilts's Weblog blog archives for November, 2013.